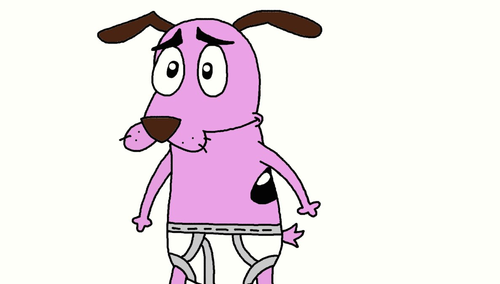 Courage's boys underwear. 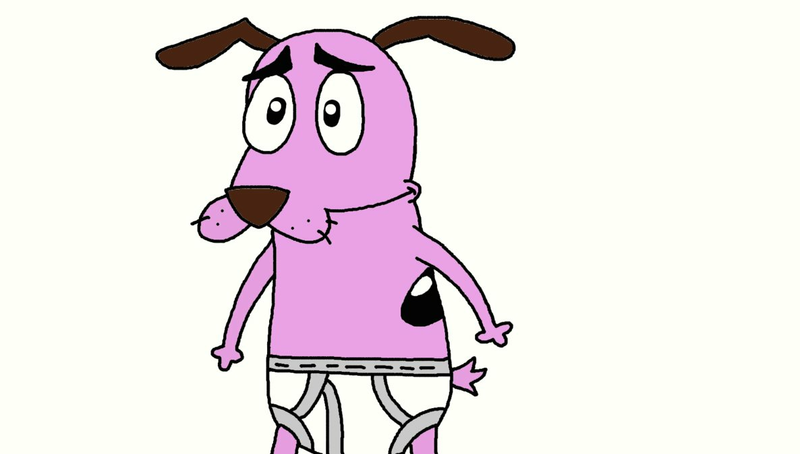 Courage wearing his boys underwear outside his fur.. HD Wallpaper and background images in the Courage the Cowardly Dog club tagged: courage the cowardlt dog. This Courage the Cowardly Dog fan art might contain 애니메이션, 만화, and 만화책.